To say yachting has been in Tommaso Spadolini’s blood since birth is an understatement. His father, Pierluigi, penned a number of yacht designs himself. They include the renowned Akhir series from Cantieri di Pisa. While a young Tommaso enjoyed sailing and racing aboard yachts, he learned to draw them alongside his father. Hanging his own shingle, as Design Studio Spadolini, in 1978, he’s gone on to work with shipyards as diverse as Canados, Aprea Mare, Baglietto, and Rossinavi. Currently, he’s collaborating with the newly formed Rosetti Superyacht as well as CCN and Sirena Yachts. 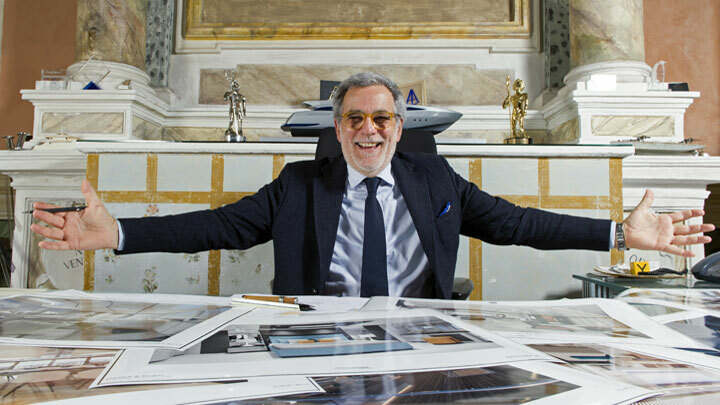 Tommaso Spadolini celebrates his 40th anniversary as a yacht designer this year, overseeing a studio of fellow designers. From his office in Florence, Italy, he strives for a look that’s at once contemporary as well as classic. “The only lines are the essential lines,” he asserts. Here, in an interview with us, he reflects on his career, plus lends advice to both new designers and new owners. MegayachtNews.com: You have designed both “small” yachts and superyachts. Some people assume larger yachts are easier to design because they have so much more space. What’s your opinion? 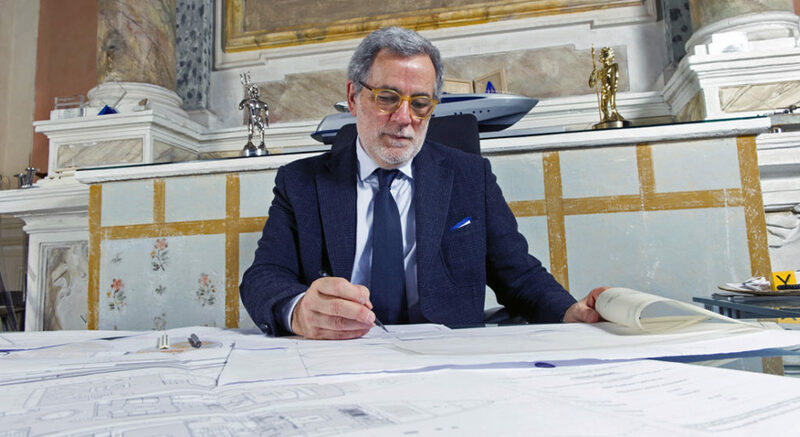 Tommaso Spadolini: Obviously a superyacht’s greater volume gives us the possibility to develop the design on more levels; the results are more harmonic. On the other hand a smaller vessel is a different challenge, just as fascinating, as it must answer to precise necessities in more limited space. MegayachtNews.com: You start every design with a hand-drawn sketch–what some people might call the old-fashioned way. Why do you feel this captures the emotion and soul of a yacht better than starting with a computer? Tommaso Spadolini: My culture and family background (one of my grandfathers was a painter and the other an architect) has always brought me to consider drawing by hand as the primary method of expression, with which I express the project’s original concept. Obviously my sketch is then elaborated with the latest software. MegayachtNews.com: During your career, has either an owner or a shipyard requested a design (or multiple design elements) that challenged you in a way you never had been previously? If so, what was that challenge? 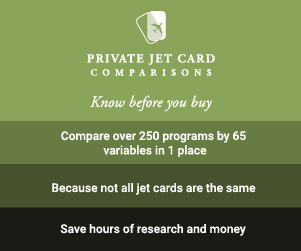 MegayachtNews.com: What are some of the biggest differences between clients today and when you first began designing yachts? Tommaso Spadolini: Things haven’t changed that much; perhaps today’s clients have more specific needs and are more aware of how they want life to be aboard their yacht. MegayachtNews.com: What advice would you give to someone interested in becoming a yacht designer? Tommaso Spadolini: Spend a lot of time at sea, firsthand, in addition to a solid technical and cultural preparation. MegayachtNews.com: What advice would you give to someone interested in commissioning their first custom yacht? Tommaso Spadolini: Clearly define your needs and desires – this will help obtain the best results from the design process.